The term "chicken rib" is a literally translation of Chinese "Ji Lei" sometimes would even appear on some formal bilingual (English-Chinese) translation occasions. You can imagine that a chicken rib without too much chicken on it, whereas you don't want to throw it away because if you are a gourmet you know the essence, or maybe, to be specific, the marrow of the chicken, is there. So, in chinese, we will say that "Chicken rib is something either I don't want to eat or throw it away." Hello everyone, If I say "chicken rib" to you without telling you what it stands for, do you understand? If I say "chicken rib" to you without telling you what it stands for, do you understand? I would be asking on a language forum if it was an insult. It's news to me that chickens have ribs. Now let's talk pork or beef ribs ... .
Hello HG, nice to see you once more, are there any English counterparts for "chicken rib" in your mind? Nope. I would have no idea what you're talking about, why you wouldn't want to eat it nor throw it away. As you've described chicken rib, the result is that my thoughts focus on snake and oxtail. It sounds like something that might make an interesting chicken rib-vegetable soup. No, I certainly wouldn't get any of that. Like Hermoine, I had to Google to be sure that chicken even had ribs before I attempted to answer. We do not butcher chickens in such a way that a chicken rib is considered a cut of meat. When a pig or cow is butchered, there is meat that surrounds the rib so we serve pork and beef ribs. When I have cut up or eaten a chicken, it seems to me like the breast meat is connected with the breastbone and doesn't really stick or cling to the ribs at all, but perhaps it would if I tried to cut it that way. Well, let me be more specific, chicken rib in chinese figuratively means "things of little value or interest; something one is reluctant to give up though it is both tasteless and meaningless"
I'm not sure what you're trying to convey. 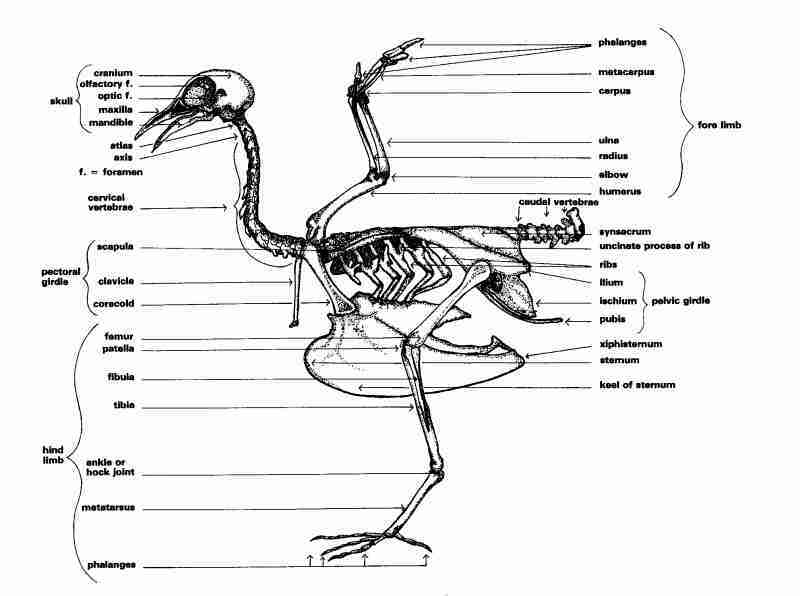 The rib bone of a chicken is a much less ambiguous way to describe a chicken rib, since so many of us seem unaware that chickens even have rib bones. Are you looking for some phrase in English that conveys the same meaning? As you can tell from the responses, "chicken rib" fails miserably. Can you give an example of something that someone might hold onto that would elicit the response "chicken rib"? Are you thinking of something that has sentimental or emotional value, as we say, but is otherwise useless, worthless and has no significance to anybody else? Well, Thanks James, I am just trying to ask whether "chicken rib" makes sense to you all, sure, "chicken rib" fails miserably, but I won't give up conveying what I want to tell, if one day you come to China, even you have some Chinese friends around you, ask them, they may give you more than I can, but "Chicken rib" as it is called, does exist in Chinese culture. As for you last question, I don't answer, sorry. If you don't mind, would you like to re-write it in a simple way? Hello, HG, sorry for bothering you by my silly question, but I won't be deterred by the response, it is not surprising that most of you would say so, because even in China, if you don't know the story about chicken rib, you don't know what we are talking about, but chicken does have ribs, you can check. I'm not doubting that it is a real concept in Chinese and I didn't mean any disrespect. What you asked us originally was "If I say "chicken rib" to you without telling you what it stands for, do you understand? " The answer was a firm "no". What wasn't clear was whether that was all you wanted or if you wanted to know if there was a different phrase in English that communicated the same concept. I think languages group similar things differently. I can't think of a phrase that would cover a useless knickknack and a miserable relationship the way that "chicken rib" seems to in Chinese. For the relationship I think we might say: "It's better than nothing." For the chicken rib (or some other useless thing that we're reluctant to part with): "It might come in handy someday." Thanks, James, I won't never ever say that you don't respect me, as you know I shall say thanks for each time you come to my thread. If my poor English offend you, please don't take it to heart. We still haven't answered your question. I can't think of a noun we use for such things. As for people who hold onto things, we call them "pack rats" after a rodent that hoards things. I can't think of a word we apply to the things that are hoarded, though. I hope someone else comes up with a better answer for you. I got one, dilemma. I got it for a long time, actually before I came here to ask the question. But I want to see whether "chicken rib" makes sense. Dilemma applies to the situation but not the object, and dilemma has a very broad meaning. When Superman has to choose between saving his girlfriend or intercepting a missile before it blows up a city, that's a dilemma. If I have to decide between paying the rent or paying the car payment, that's a dilemma. It is a very broad term that applies to the difficult decision between two choices but it doesn't apply to an object. It seems like "chicken rib" applies to the object. You can point to an object (or describe a situation) and say "(this is a) chicken rib". Is that correct? That's the word I was going to propose for the girlfriend type of situation. I am sorry about my rather flippant answer to your initial question. Remember the saying " There are no silly questions, just silly answers". Are you by any chance talking about that sort of V- or Y -shaped chicken bone that we call the "wishbone"? Apparently it is a sort of collar bone. Google wishbone to see what I'm talking about. Chickens do indeed have ribs, as this illustration shows. I assume that this is the body part the original Chinese refers to, in the absence of any reason to think otherwise. If your post is in response to mine, yes, I do realise that chickens have ribs. In my attempt to make up to Silver, and to satisfy my own curiosity, I have learnt more about chicken anatomy, ways to cook them, 360 things to do with chicken bones, the difference between Chinese ways of cutting up chicken, cooking chicken and serving chicken not to mention chicken feet, intestines and combs, than is really healthy. But, and it's a huge 'but', I have mimimal faith in these Chinese word lists and dictionaries. I never know whether to laugh or cry at the astonishing English they seem often to come up with. A 'wishbone' is not a rib but it is a 'chicken bone'. I am trying rather desperately to find some answer to Silver's question. So far the only meaningful (to me) clue is the word "dilemma" and the girlfriend situation, which must have some association with this Chinese "chicken rib" expression. My train of thought is: chicken rib> chicken bone > dilemma > English expression, to be "on the horns of a dilemma" > chickenbone again > horn like shape of (Y) chicken wishbone. This thread has long since answered the original question. Pursuit of an English equivalent to a Chinese expression is outside the scope of this forum. The thread has been closed. is there a slang or an idiomatics expression for the chinese expression:chicken rib? it means that we have something with no use for us but we still don't want to give it uo. "He has had a spade lying in his garden for a year. He never does any gardening. I asked to borrow it and, like a dog in a manger, he said "No"."